This month’s run will take place on Wednesday, April 26th. 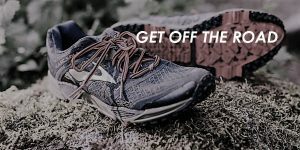 We will run a 3-4 miles of trail around Lake Herrick at Oconee Forest Park located at College Station Road and Alumni Drive, Athens, GA, 30607. Please park at the back of the park. Follow Alumni Drive until it dead ends near the UGA Redcoat Marching Band practice filed. Additional parking is available in the lower lots between the tennis courts and the band practice field. We will meet at the trail head/entrance just beside the gravel lot at the end of Alumni Drive. Runners will take off around 6:00 PM. We hope to see you there! Join us for the first trail run of our 2017 series! Each group run starts at various trails in the Athens area on the last Wednesday of the month. This series will run throughout the Spring and Summer. This month we will run a 3-4 miles trail at South Jackson Elementary located at 1630 New Kings Bridge Rd, Athens, GA, 30607.